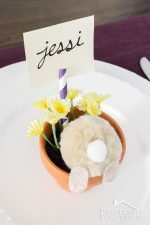 Easter is almost upon us and I love seeing all of the adorable Easter decor; the bunnies, chicks, and carrots are all just too cute! 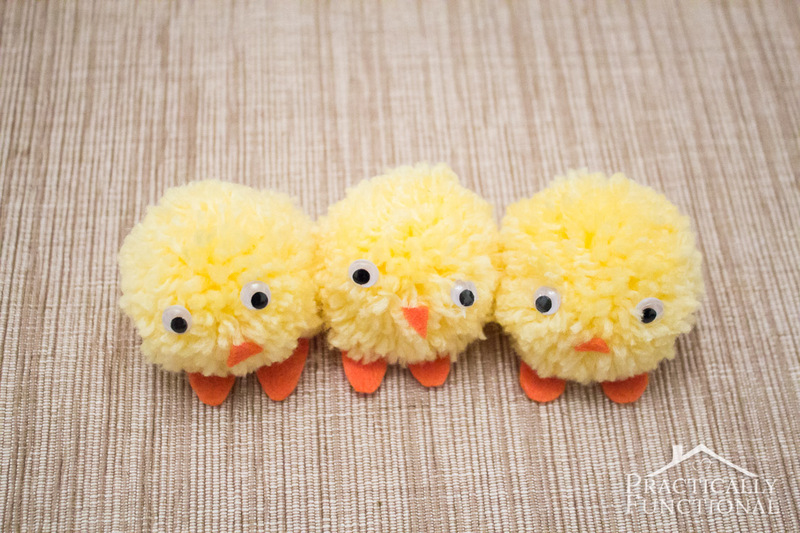 I already made some super cute curious bunny flower pots for Easter this year, but I wanted to add some chicks to my decor as well, so I spent a few minutes this weekend making these adorable Easter pom pom chicks! 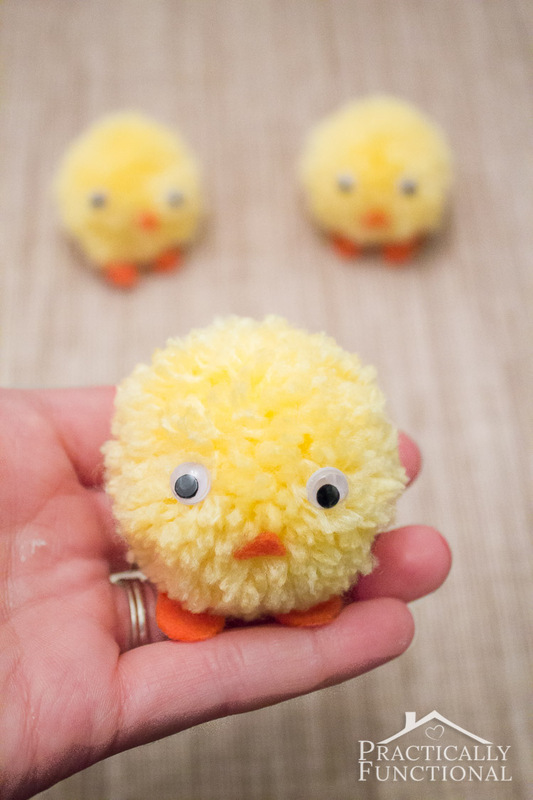 They’re so quick and easy to make, and they turned out so cute! 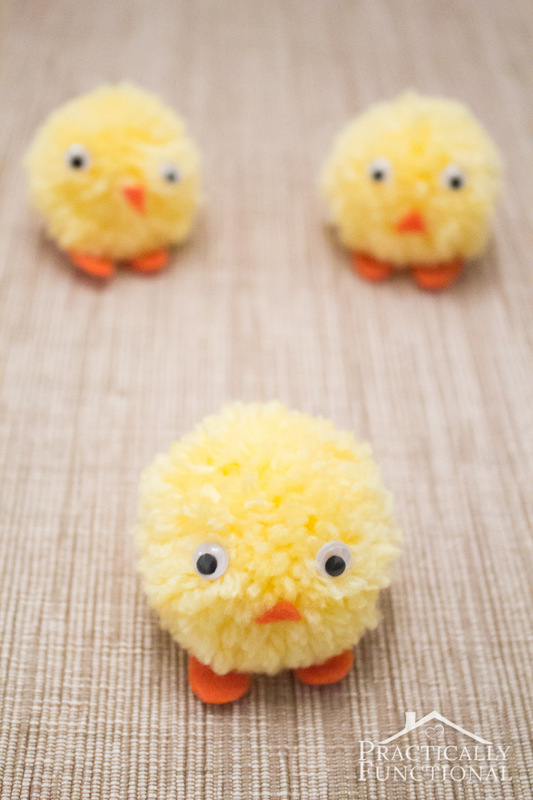 Plus they’re a great craft for kids to help with! As long as an adult supervises the hot glue portion, the rest is totally kid-friendly! The first step is to make pom poms! 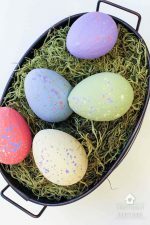 If you haven’t made them before, they’re really simple! Start by wrapping a piece of yarn around a few of your fingers. 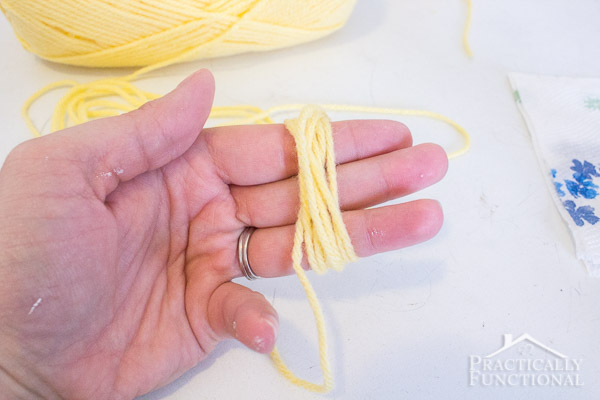 Keep wrapping until you have a nice thick amount of yarn around your fingers. For these pom poms I did maybe fifty wraps with my yarn. 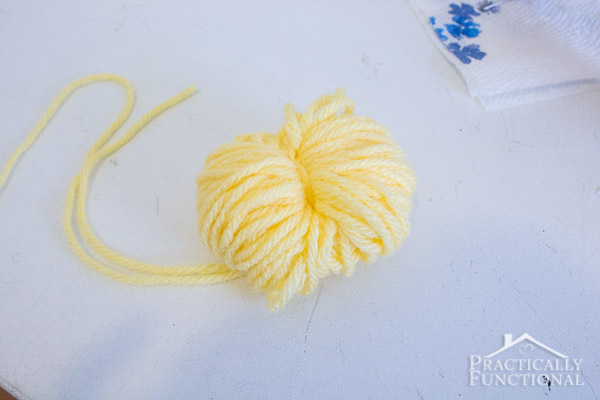 The more yarn you use the “poofier” the pom pom will be! 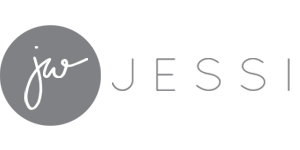 Take your scissors and carefully cut through all of the loops on either side of the center tie. 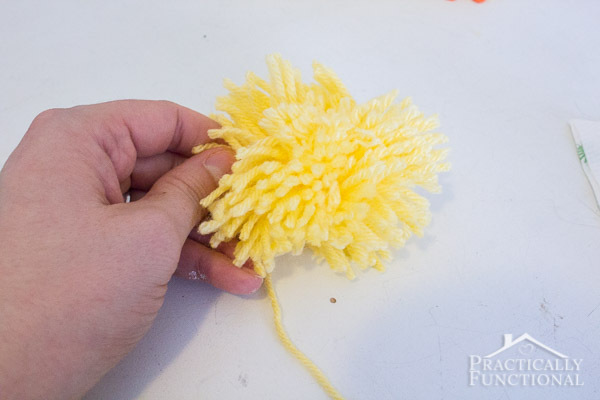 You’ll end up with a kinda lumpy wannabe pom pom, but don’t worry, we can fix it! 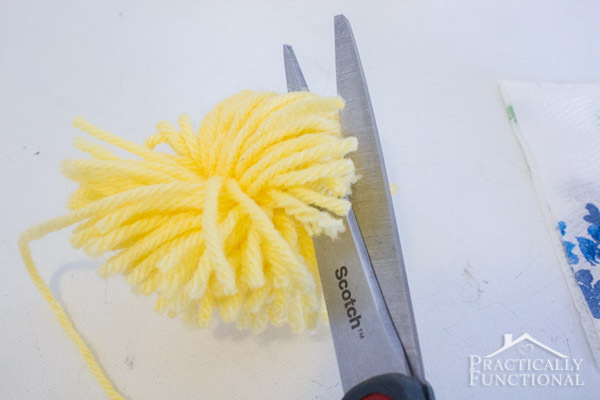 Take your scissors and carefully trim the ends of the yarn until your pom pom is circular. 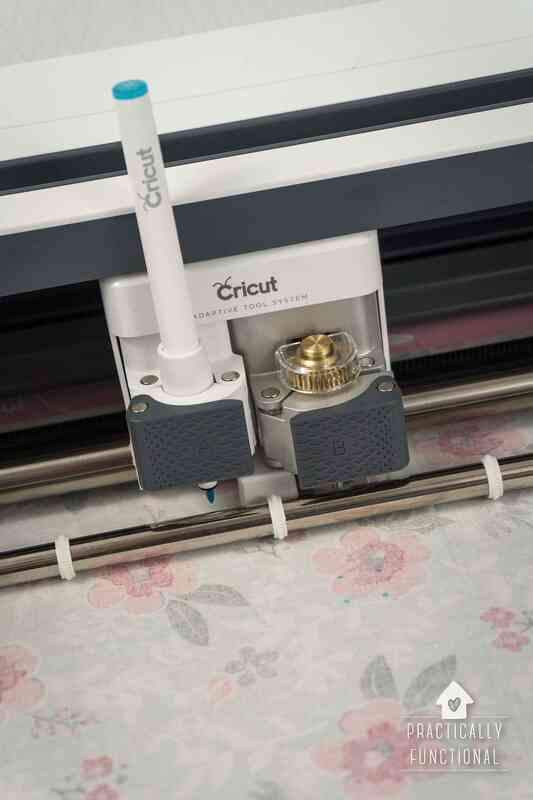 This part gets pretty messy with all the yarn trimmings, so do it over a trash can or on a table you can easily wipe clean later. 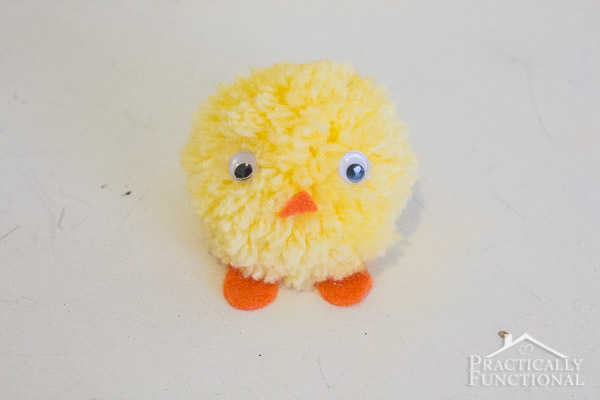 Once your pom pom is ball shaped, it’s time to add the chick features! 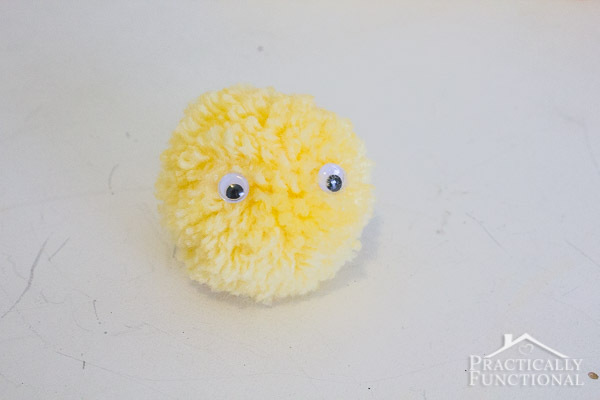 Start by hot gluing two googly eyes onto the pom pom. 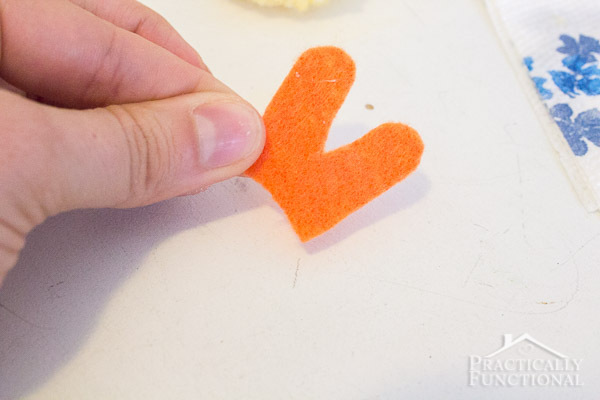 Then cut a small “bunny ears” shape out of the orange felt to use as the feet. 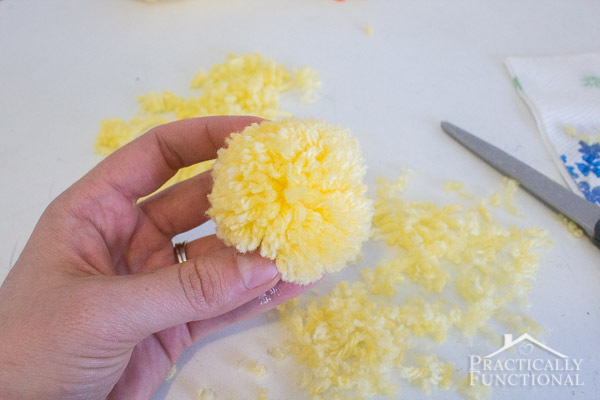 Glue the feet onto the bottom of the pom pom so that the tips of the “toes” just stick out past the pom pom body. 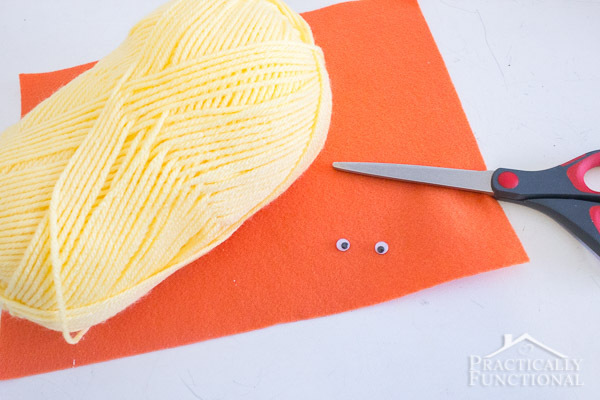 Cut a small triangle out of orange felt for the beak and glue it on under the googly eyes. And you’re done! 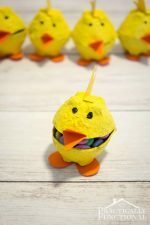 They’re so quick and easy to make; you should make a bunch! 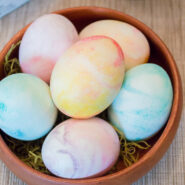 Decorate Easter Eggs With Paper Napkins! 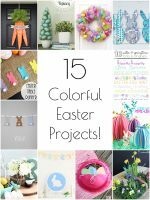 If you need more quick and easy craft ideas, check out these great spring and Easter crafts from some of my favorite bloggers! 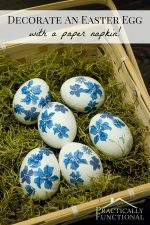 How To Decorate Easter Eggs With Paper Napkins! 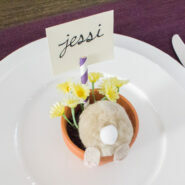 These are absolutely adorable, Jessi! Pinned. My kiddos would love to make them. These are too cute. 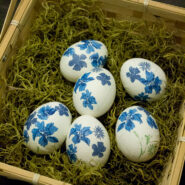 They would look fabulous nestled in a colourful Easter basket, or riding atp an Easter bonnet! 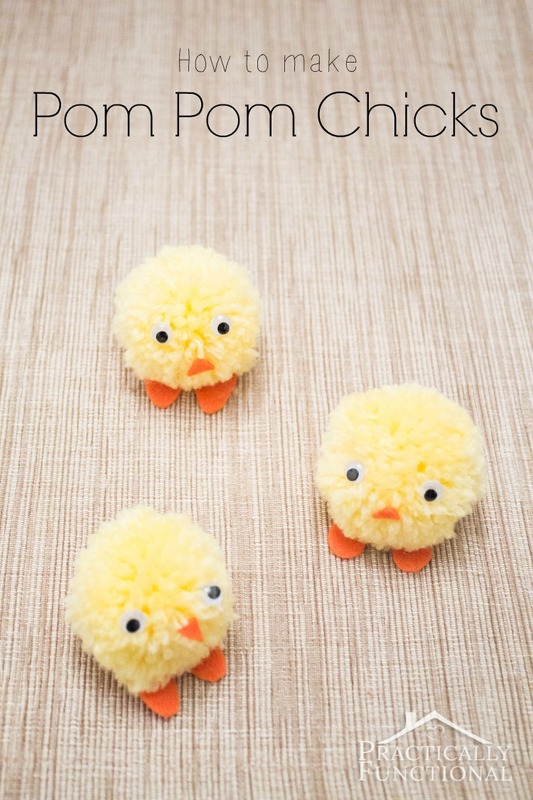 I adore pom pom projects and this one is too cute for words! Awesome, thank you so much for featuring my project! 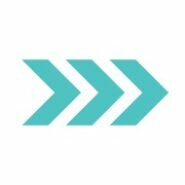 I shared your roundup!